← What Are Activities of Daily Living? 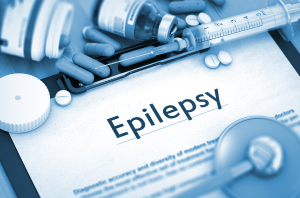 When an aging relative is diagnosed with epilepsy, it can be a confusing and difficult time for family members entrusted with the older adult’s care. You may be uncertain of how you can help or what to do when the person suffers a seizure. Learning some strategies for assisting someone with epilepsy can make the responsibility a little easier. Watch for Triggers: There may be certain things that can trigger seizures. Keeping a notebook or calendar that tracks seizure activity and the things that occur before seizures can help you to recognize patterns. Providing Transportation: The doctor may advise the senior to stop driving. They will need rides to medical appointments, the grocery store, and other places. Coordinating Care: The older adult may need someone to help them schedule medical appointments, pick up prescriptions, and schedule family caregivers to be with them if they cannot be alone. Observing Seizures: A description of what happens during seizures can help doctors to tailor care to the older adult’s needs. Help Avoid Injuries: When a seizure begins, ease the elder to the floor. Move any furniture or other items the person might hit during the seizure. Adjust Position: Once you have the older adult safely on the floor, turn them on their side to avoid choking on any fluids and to help them breathe better. Do not put your fingers in their mouth as you may be injured. Cushion the Head: Place something soft and flat under the person’s head to keep them from banging it on the floor. A folded towel, blanket, or even a jacket will work. Time the Seizure: Use a watch or clock to time the seizure. If it lasts for more than five minutes, call 911 for emergency assistance. Being a caregiver for someone with epilepsy is a big job. Hiring an elder care provider to assist with the responsibilities can help. An elder care provider can keep the older adult safe when you cannot be there. They can also help keep the seizure log updated. An elder care provider can also help reduce some of the stress the senior may feel as a result of their diagnosis since they may feel safer having someone with them. For Elder Care Services in Cordova TN, please contact the caring staff at Personal Care Services MidSouth today! This entry was posted in Challenging Diseases/illnesses/Conditions, Elder Care Cordova TN and tagged Elder Care Cordova TN. Bookmark the permalink.